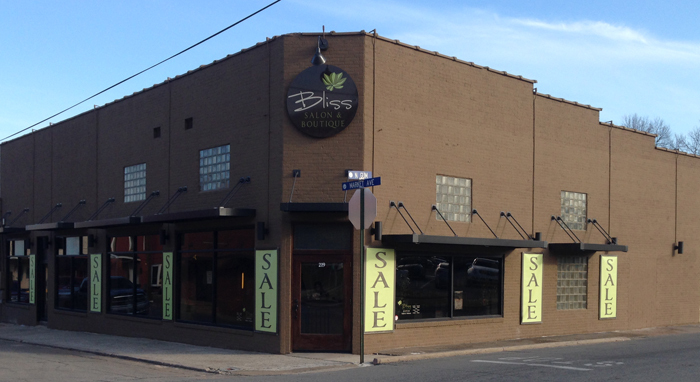 Located just off the square, Bliss Salon & Boutique (501-279-2544) is a haven for the busy woman. Offering appointments for hair, nails, and massages, as well as the latest fashions, it’s truly a one-stop shop to relax and update your look. The boutique features fun and colorful clothing, along with jewelry and accessories. 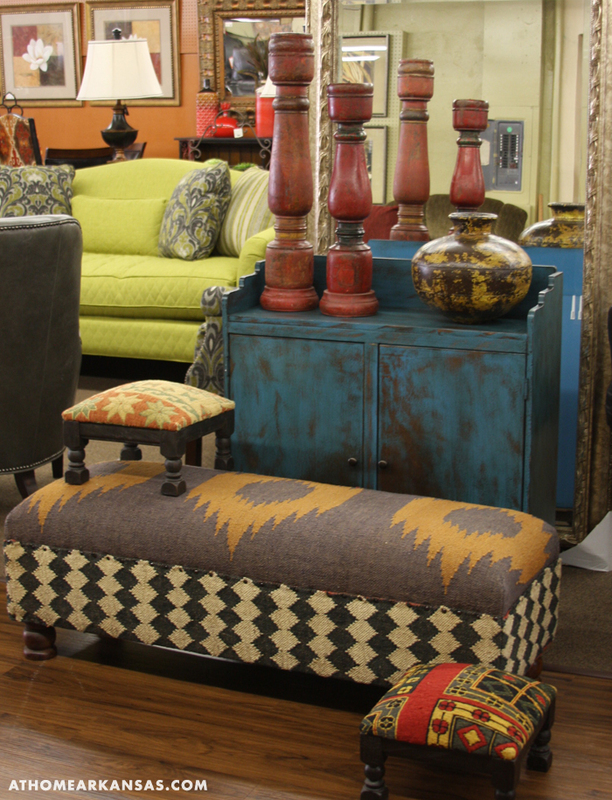 Don’t forget to shop the upstairs portion of the store for more trendsetting finds. 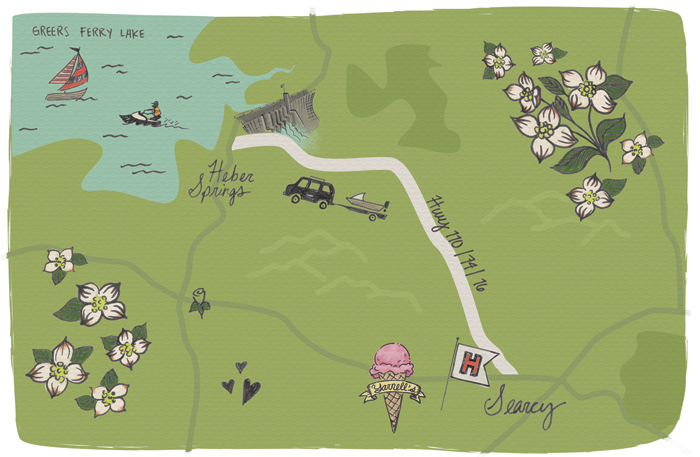 From there, we suggest heading just down the square to visit The Boutique (501-268-3434, searcyboutique.com). Filled with beautiful china, kitchen and tabletop wares, bedding from Pinecone Hill and furniture and rugs from Company C, as well as a huge selection of special, soon-to-be cherished gifts, the shop is a true gem for all things home. Newly engaged brides can create their own registry filled with all the things that make a house a home. Stop in today to find unique goodies for yourself or a loved one. Next, venture over to East Race Avenue for all of your fine jewelry needs. Located in a beautifully updated historic property near Harding University, Tara & Co. Diamonds (501-268-4684, taracodiamonds.com) is the area’s premier jeweler, offering the expertise of a trained and knowledgeable staff. You’ll find a huge selection of stunning engagement rings and exquisite quality brands including Michele, Sylvie, Le Vian, and Pandora—the perfect accessory for any look. 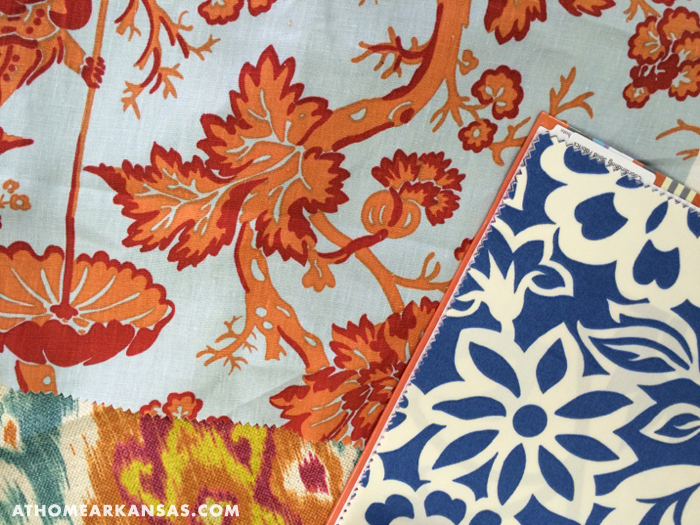 Continue your shopping trip just up the road in Heber Springs, where you’ll find Panache (501-362-7919, aromatique.com). The charming and well-stocked store adjoins the corporate headquarters for Arkansas’s beloved home fragrance brand, Aromatique. And while you’ll find plenty of candle and potpourri offerings in the shop, you can also browse an equally large selection of china, glassware, linens, and gift items. In addition, Panache now offers bridal registry for the area’s newly engaged couples. The friendly staff is eager to help you find your favorite Aromatique fragrance or show you their wide array of giftware if you’re on the hunt for something special. 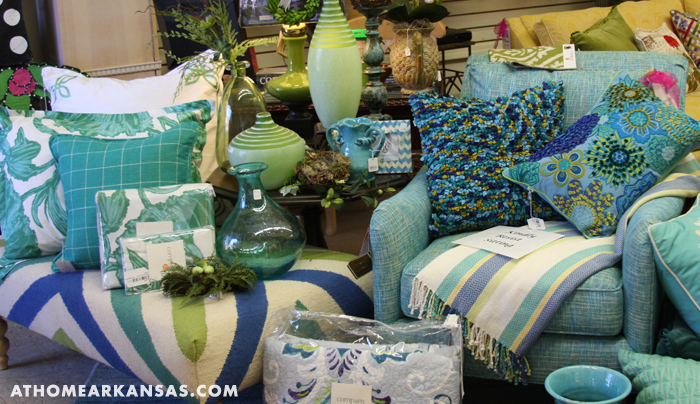 If you decide to call the area home, we suggest stopping in at Sowell’s Furniture (501-268-8100, sowellsfurniture.com) for a few new pieces to spruce up your home. The family owned and operated business has been a staple of the area for more than 70 years. Best known for their colorful home furnishings—including upholstered pieces, dining tables, bedroom sets and more, they recently received a new shipment for spring. Walk their 38,000-square-foot showroom, to find the perfect furniture selections for your home. If you need to make a few updates to your home’s tile or flooring, turn to White River Flooring (501-593-4994, whiteriverflooring.com). Located just down from the square on Main Street, the showroom offers any type of flooring you could possibly need, including many options for pre-finished flooring. Visit them for all your hardwood, tile, and carpet needs. Many options are in-stock and can be delivered to your home right away. Perhaps your home could benefit from new bedding, drapes, or pillows. 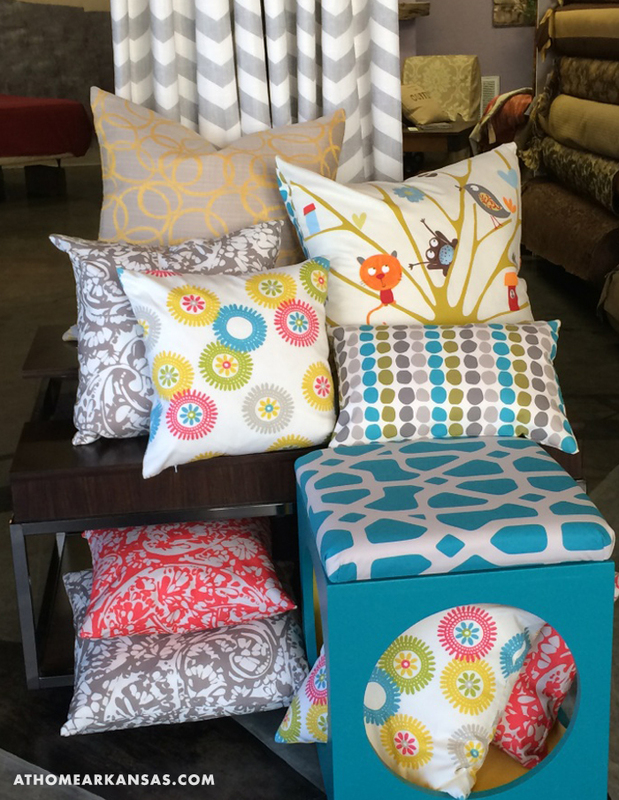 Interior Creations (501-268-2311, searcydesigncenter.com) can assist you with their selection of fabrics, custom-made soft goods, and ideas for personalization. What’s more, the family owned business has a huge selection of window treatments and carries upholstered goods as well. If the idea of renovating or redecorating your home seems daunting, turn to an expert who can help with everything from start to finish. Beth Davis Interiors (501-305-3139, bethdavisinteriors.com) is a full-service design firm helmed by its namesake, interior designer Beth Davis. From a kitchen makeover or a room refresh to entire home renovations, Davis has you covered. Working with a variety of styles, Davis can help you to make your vision for your home a reality. Contact her today to set up a consultation. While you may love living in the area, summer vacations are just around the corner. Contact Renee Taylor Travel Company (501-305-3780, rtaylortravel.com) to help you plan your perfect summer getaway. Through their network and affiliations, the full-service travel agency can offer you access to top hotels, resorts, spas, cruise lines, and tour companies—all at a great value. With more than 25 years of combined experience, the professionals at Renee Taylor Travel Company are trusted advisors who can help you every step of the way to make your travel dreams an enjoyable reality. Spring fever has struck! It’s time to get outdoors and take in the sights, sounds and scenes around The Natural State. With lake season just around the corner, many people are making the trip from Searcy to Heber Springs. If you’re a Harding University alum, you may be feeling nostalgic for a walk on the grassy front lawn. Or, if you’re like most Arkansans, the weather may have you craving a scoop of ice cream from Yarnell’s—a Searcy treasure. 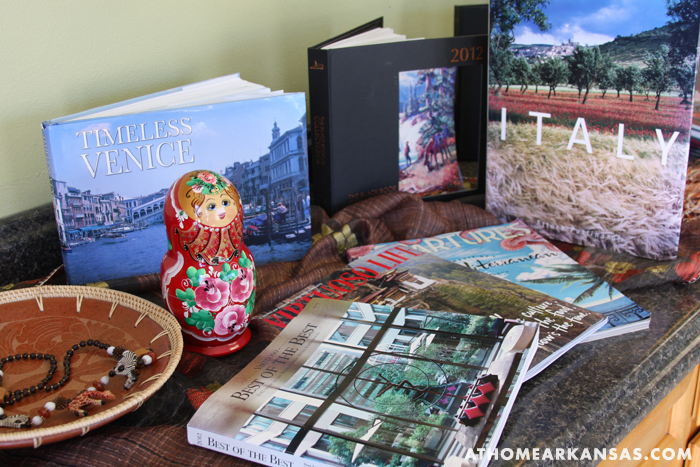 Whether you’re visiting the area or a native, we suggest stopping in at the destinations listed on the following pages to freshen your home or wardrobe for the season, or to make travel plans of your own for summer. Walk through the doors of The Boutique and you’ll be inspired to live colorfully. 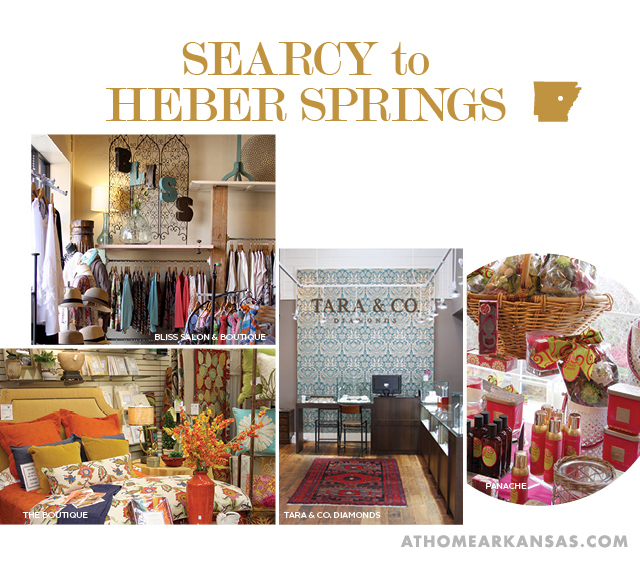 Located in the heart of downtown Searcy in a beautifully revitalized building, the store is a true treasure for shoppers with a discerning eye for style. Owner Marianne Jones curates the cheerful blend of home furnishings, decorative accessories and gifts, including offerings from Pine Cone Hill and Company C. The Boutique also offers bridal registry, carrying popular lines such as Beatriz Ball, Skyros and Coton Colors. For more than 15 years, designer Beth Davis of Beth Davis Interiors has been creating beautiful, personalized spaces for clients. 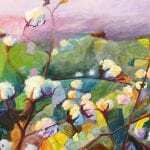 Working with a variety of styles and ideas, Davis helps her clients to interpret their design visions. Whether you need advice for a new construction build or a remodel, or simply need help selecting new paint colors, Beth Davis Interiors is ready to help, deeming no project too large or too small. She can also order furniture and accessories for your home. Contact her today to set up a consultation or make an appointment to view the selections in her showroom. If you’re looking for quality home furnishings and accessories, Sowell’s Furniture boasts a variety of pieces and styles. Family owned and operated since 1945, the 38,000-square-foot store carries lines such as Craftmaster, King Hickory, La-Z-Boy and Uttermost. You’ll find a large selection of unique styles, including farmhouse-inspired designs for dining rooms, traditional and contemporary designs for bedrooms and living areas and much more. Visit them today to see their latest finds. If you’re looking for the crossroads of beauty and style, look no further than Bliss Salon & Boutique, owned by Paige Norman. Customers can shop the latest looks from lines such as Neon Buddha, ModBod tanks, Fresh Produce and Isle, as well as jewelry selections from Lenny & Eva and Waxing Poetic. Plus, the salon side of Bliss offers haircuts, highlights and full color, manicures, pedicures and waxing. With so many ways to treat yourself, what’s not to love about Bliss Salon & Boutique? A one-stop shop for draperies, bedding, pillows, upholstered furniture pieces and more, Interior Creations specializes in customization. They carry a full line of Hunter Douglas window treatments, including blinds, shutters and shades. As owner of the family-operated business, Sue Moore, along with her son Jody Moore and daughter Wendy Lang, curates a large selection of interior fabrics and accessories and has numerous ideas for personalization. 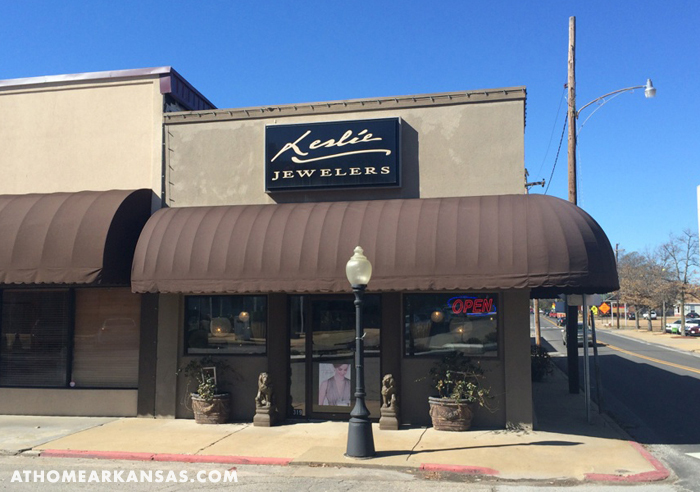 Open in the same Court Square location in historic downtown since 1935, Leslie Jewelers is Searcy’s premier boutique jewelry store. 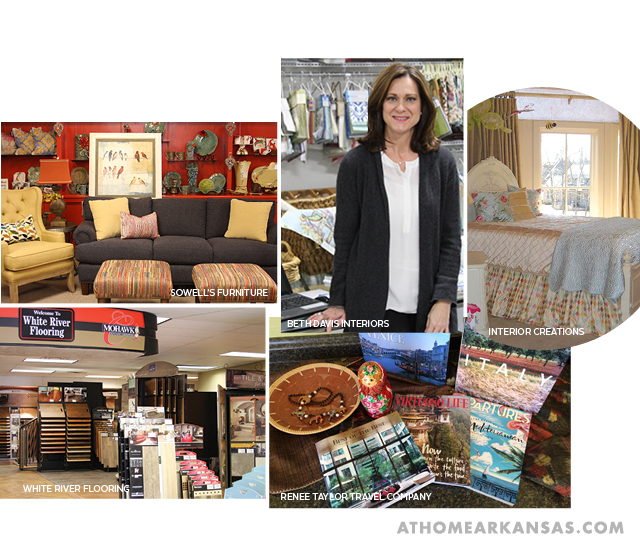 Owners and sisters, Amy Maxson & Melanie Purnell, are Searcy natives and maintain the history of this family-owned business. They’ve transformed this Searcy “icon” into a sleek, fashion-centered store with a strong emphasis on personal service and quality merchandise. So whether you’re looking for bridal sets, fashion jewelry or timepieces, Leslie Jewelers has a piece just for you. Looking for a change? Let Leslie Jeweler’s Master Jeweler Robert Pitard design a new custom creation for you from your old jewelry! Renee Taylor Travel Company is a full-service travel agency specializing in luxury worldwide travel. Through their network and affiliations, they can offer you access to the top hotels, resorts, spas, lodges, airlines, cruise lines and tour companies—all at a great value. Working with clients around the United States, the experts at Renee Taylor Travel Company have more than 25 years combined experience in the travel industry. 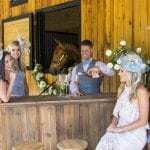 They offer destination specialists, as well as family travel, weddings, honeymoons, group and corporate travel experts. More than just booking agents, they are professional travel advisors who promote travel because of their passion for it. They believe in sharing their experiences, expertise and enthusiasm with travelers and are committed to offering expert and unbiased advice. Call them today to plan a remarkable journey that exceeds your expectations. 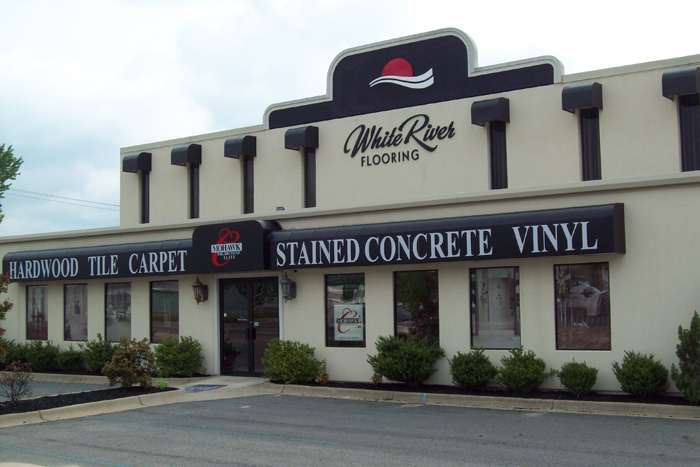 For more than 13 years, White River Flooring has been bringing Arkansas the best selection of flooring and tile along with amazing customer service. 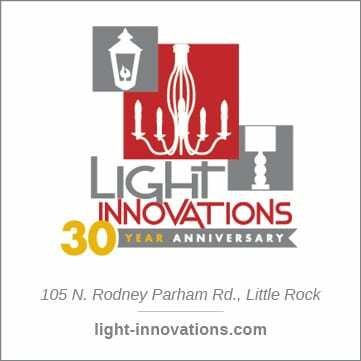 Their 8,000-square-foot showroom and 6,500-square-foot warehouse stock everything you need to bring your next flooring or backsplash project to life. They offer custom tile showers and backsplashes, stained concrete, decorative concrete coatings and toppings, concrete engraving, epoxy and urethane coatings, rubber flooring, cork flooring and more. The expansive showroom allows customers to see and feel what is best for their style and their home. Since day one their motto has remained the same, “Installation is our specialty…we sell products on the side.” White River believes top quality installation is a must, no matter what product the customer selects. 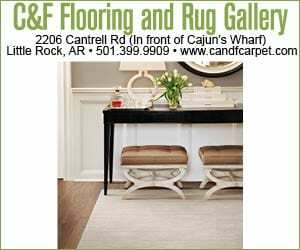 Visit this friendly, well-qualified staff for your next flooring project at their convenient location on South Main in Searcy.